A Quick Service (also called Fast Food) restaurant is any restaurant at which you choose whether to dine in or out, and/or order from a counter or a drive-through. They include fast food restaurants, hot dog stands, snack bars, and more. Knowing what food safety "red flags" you should be aware of can help you and your family stay healthy and safe. Learn about food safety Red Flags for Full Service Restaurants here, and Buffet Restaurants here. Most big-name fast food chains (McDonald’s, Burger King, Chick-fil-A, etc.) have standards and procedures to keep food safe for their customers. 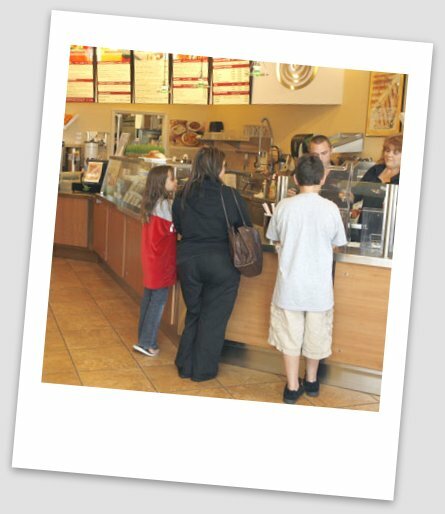 In many locations, if the owners or managers don’t follow the correct food safety procedures, the franchise company removes them from their jobs. After all, the company’s name is their trademark, and any major problem can ruin it. Inexperienced staff members: Many fast food employees have neither understanding nor personal experience of the seriousness of food safety. Some may actually treat food as a joke; they may do things to it (accidentally or intentionally) that can cause illness in their customers. Language barriers: Fast food jobs, while important, are generally classified as low skilled, low paying positions; in other words, they’re entry level jobs which don’t require language skills. However, language skills are essential for teaching. Many larger companies print training materials in both English and Spanish, adding other languages as necessary. However, if the managers themselves – who are responsible for the training – can’t communicate with the employees, the lack of understanding can pose a risk to the food. Mass production: Many larger Quick Service chains do not actually make their own food, although you may see cooking going on. A lot of it is produced in large industrial kitchens and brought to the location in trucks. The meat and chicken, the “secret” sauces and ingredients, even the cut produce may be made elsewhere. In theory, this creates consistency and keeps prices down for the restaurant. In practice, it can also create difficulties. If one ill employee sneezes on lettuce that is shipped to several stores, you have large-scale contamination (the unintended presence of something that shouldn’t be in the food). The breakdown of a refrigerated delivery truck means that the food inside sits for as long as several hours – at a temperature that allows and promotes bacterial growth. 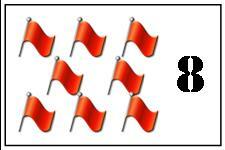 We assign each violation a "Red Flag." 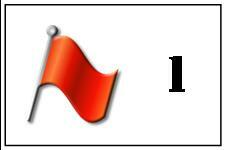 Check out our scale for Food Safety Red Flags in Quick Service restaurants. Do you see people cooking your food without hats on? 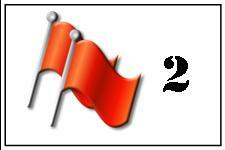 It’s a Red Flag #2. All food handlers should be wearing something (a hat or a hairnet) to keep their hair from getting into the food or falling into their faces. Bacteria always live on people’s heads, and they can actually transfer to food if the handler touches his or her head and then the food. A hair might even drop into your food; that is not good for you and it’s not good PR for the restaurant. Is the restroom dirty? That’s a Red Flag #4. A manager who doesn’t care about a dirty toilet or sink may well not be worried about dirty kitchen floors and counter tops, either. While a dirty restroom will allow bacteria to spread, a dirty kitchen will do worse; it will actually attract pests like roaches or mice, which spread diseases while damaging your food. There is a disclaimer here: if you’re in the restroom and notice a mess that looks as if it just happened, please don’t assume that the kitchen looks like that, too. You might want to notify the manager that the restroom needs a cleanup. Do you see an employee use the public restroom without washing his/her hands? That’s a Red Flag #7. Regardless of that person’s job, you have reason to be concerned. Bacteria are found in two principal areas of the human body: the head (face, mouth, nose, hair) and the middle region (need more info? Send me an e-mail). ANY activity that puts hands in or on these two areas of the body REQUIRES that the employee wash hands before returning to work. The only reason this is a #7, not a #9 or #10, is because a lot of staff are trained to wash hands in the kitchen upon their return. However, you have no way of knowing, and you would not be over-reacting if you decided not to take a chance. Do you see a lot of flies? That’s a Red Flag #4 or #8. It depends on where the flies are and what they’re going after. Flies are pests we all have to deal with, especially in warm weather. Flies are attracted to solid wastes (dog poop, trash, etc. ); they pick up the germs from the debris and transfer them to the food they land on. Should they be in any restaurant? No. But the bothersome pests may not be in areas that can contaminate your food. If they’re just congregating around the trash areas, or you see only a few here and there, you don’t need to worry so much (#4). But if they are landing on food as it is being served, or if you can see a lot of them in the kitchen, then be more concerned (#8). Now, suppose that as you’re eating you see an employee using bug spray to get rid of the flies around the food or food storage. 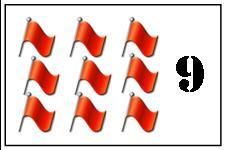 Make that a Red Flag #9! You never, ever want those chemicals near food! One more thing: If you choose to eat outside on the patio, or if you’re at the state fair, you can still be concerned, but it’s not the restaurant’s responsibility in these cases. Do you spot a roach or mouse inside a restaurant? That’s a Red Flag #9. Mice and roaches want two things: food and shelter. If they are in the restaurant where you can see them (whether they mean to be seen or not), please know that they want lunch just like you do. They may have sampled and abandoned (or didn’t like) the food you’re ordering. They leave their own bacteria, feces and urine (mice have NO bladder control) on the food. You might want to get right out of there! Do you observe a dirty kitchen? That’s a Red Flag #2 or #5. Seeing a mess around a kitchen isn’t unusual, especially after a busy lunch or dinner hour. If you glance into the kitchen and it looks like the aftermath of a four-year-old’s birthday party at your house, then it’s probably nothing to worry about and will be cleaned up soon (#2). On the other hand, if it looks (and/or smells) like a men’s college dorm room, be more concerned (#5). Do you observe cooks handling your food with their bare hands? 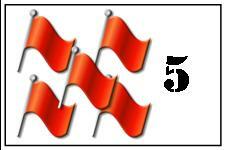 That’s a Red Flag #5. Some areas have “glove laws” requiring gloves on all cooks and food handlers, to make sure bare skin is not in contact with food. In other places, that isn’t required. However, if you notice that in most of the restaurants you patronize the employees wear gloves, and you then you go into one where they don’t, you might want to steer clear of that last one. Gloves help protect your food from possible poor hand washing practices by employees. Don’t think, however, that just because they wear gloves, your food is always OK. And if you live in an area where there are no glove policies, this doesn’t apply. Use other ways of evaluating the location. Is the proverbial fly really in your soup? That’s a Red Flag #8. This applies to anything in your food that shouldn’t be there – a bug, a fly, a roach, a paper clip, or anything else. It shows a clear lack of food safety training or practice on the part of the food handlers. You have two choices: let the manager know about the situation and leave, or let the manager know and take a chance with a food replacement. Different restaurants have different policies, but it is up to you, the consumer, to let the restaurant know what you see. Based on your conversation with the manager, you can decide what to do. Chances are that the offending object was a mistake and is not a serious problem – but it can become one. Again, if you choose to eat on the patio or at the state fair, don’t expect the restaurant to do much for you. Do you see an employee who is cleaning the dining room wipe off a chair and the table with the same cloth? That’s a Red Flag #1. According to studies, this is something consumers are very concerned about. But the chances are that the employee is using a sanitized towel – a towel that has been dropped into a chemical that neutralizes germs. While not the best practice, the chances are that you won’t pick up a germ from a table top just because the cloth touched a booth or seat first. However, the dining area should be cleaned regularly; if the dining area is dirty, think what the kitchen must look like! To learn more about how you can get sick from food, click here. Often I’m asked what the best Quick Service restaurants are, and when the best time to eat is. As for the safest time to eat, a restaurant that is busy (but not too busy!) is always the best time to eat at any Quick Service restaurant. The food is fresher (not sitting under heat lamps), employees are busy and alert, and the chance of a mistake is lessened. At a slower time of day, your food may sit longer, and because restaurants don’t like to pay their staff not to be busy, they don’t have as many employees working at slower times. One employee may be trying to do a number of jobs, and thus may be more likely to make a mistake. If you have observed a situation in a restaurant and want our feedback on it, click here to send us an e-mail. To learn what to look for in a Full Service restaurant, click here. To learn what to look out for in a grocery store, click here. To learn how the Health Department fits into the picture, click here.